When was the last time you were disappointed by an episode of a show you love? Watched something and thought “wow, that was bad” before thinking the total opposite for the following episode? Loved a series only for the finale to be a total let down (*cough* The Replacement *cough*)? It’s an inevitable fact, even your most cherished show will hit a bum note somewhere down the line. 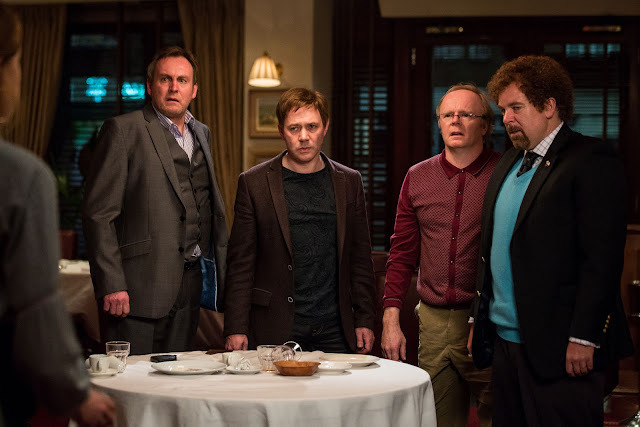 Three series in and seventeen episodes under it’s belt (the eighteenth and final of series three airing this evening), the comedy anthology has yet to disappoint. It’s a quiet masterpiece, a thirty minute thrill ride that week after week will leave you yearning for more. It’s the best thing to come out of BBC Comedy in years and has a steadily growing audience that you should be a part of if you’re not already. 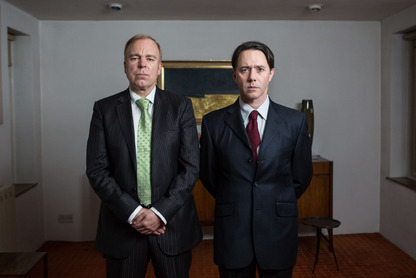 Whether you watch it for the twists, the guest stars or for it’s originality, Inside No.9 is a show like no other. From family bickering inside a wardrobe to the question of the owner of a single shoe, the writing and ideas are so inspiring that you never quite know what’s going to happen next. But with it’s originality also comes it’s biggest flaw. Sorry, I get pretty passionate on this subject. Thankfully we also have my favourite group of people. The ones who decide to act on the recommendation and give it a go, plunging into the world of Shearmsith and Pemberton without prejudgement. These are my favourite people as I’ve never had someone come back to me and tell me they were disappointed. So this is your chance - never seen the show? Stop reading this and go watch it, I don’t think I’m about to be proven wrong. When it comes to people’s favourite episodes, and certainly episodes to recommend watching first, there are only really ever two answers. From series one, A Quiet Night In was a game changer in the world of television. A thirty minute episode with almost zero dialogue that must have been a gamble for the BBC (especially considering the attention span of the general public these days), but what a pay off. Through physical comedy and slapstick humour, the episode will leave you enthralled, shocked and probably in a fit of giggles. But for me it was series two that produced the single best episode of television I’ve ever seen. Starring Sheridan Smith and Tom Riley, The 12 Days of Christine is simply a masterpiece. It’s beautifully written and carefully planned with twists and turns you won’t see coming. An astonishing episode that deserves more attention and awards than it received at the time, and an ending that no matter how many times I watch it will always leave me in a flood of tears. It even made my Dad cry which is frankly unheard of. We’re currently going through an interesting time for television. Shows are realising that audiences want more. We want to be challenged, we want to be kept guessing, we want storylines which give us more than a start, a middle and an end. This is why Inside No.9 is so important, it gives us the unexpected and keeps us on our toes. I mean, what other shows with episodes about paying a restaurant bill or a Nana’s 79th birthday party could keep you interested for thirty minutes? With series three, Pemberton and Shearsmith have done it again. There hasn’t been a single dud episode, and unlike the earlier series’ there isn’t a clear overall favourite. I know people who claim that Empty Orchestra is their new favourite, while Diddle Diddle Dumpling is already being spoken about in the same breath as A Quiet Night In and The 12 Days of Christine. It’s been another phenomenal series and I for one am devastated it’s coming to an end already. Inside No.9 is a show that gives me hope for the future of British television and I hope we get to delve behind the door many, many more times. They've already filmed 3 episodes for series 4. Fingers crossed we'll see it his year.